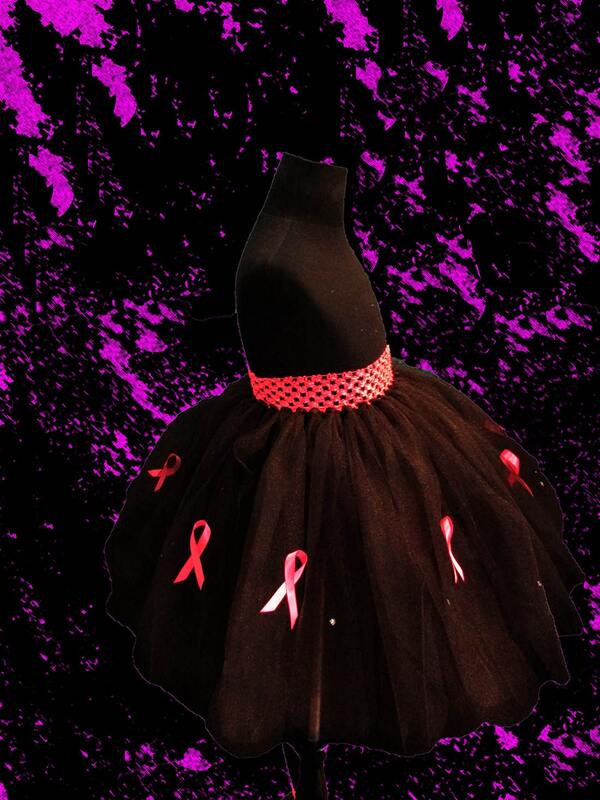 We have created this tutu skirt with awareness in mind. 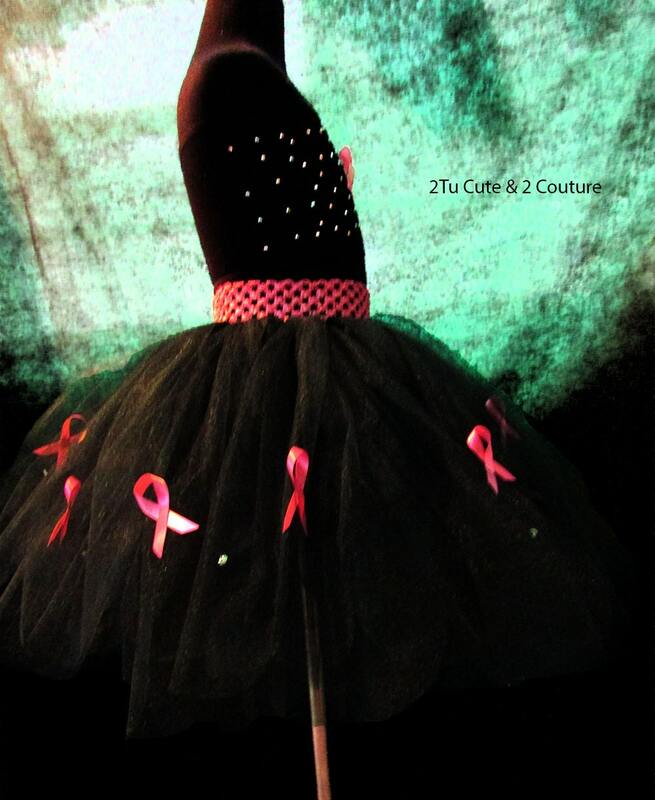 Our black petal tutu is created with premium black tulle and accented with pink awareness satin ribbon. Breast cancer is staggeringly high and far reaching with no discrimination, impacting millions. 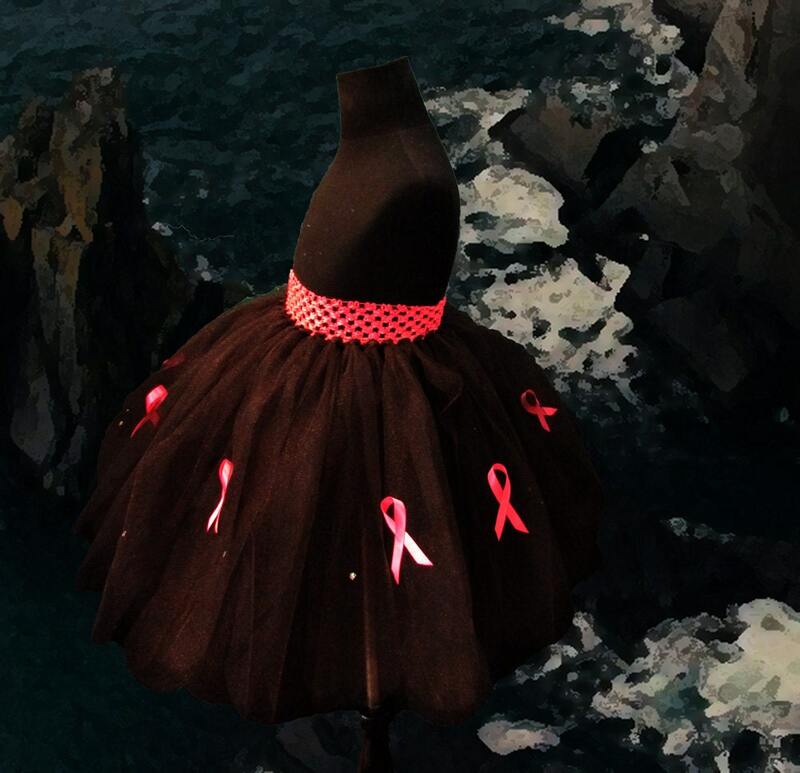 As of 2014, more than 2.8 million women in the U.S. alone have a history of breast cancer, and about one in eight women are at risk of the disease over the course of her lifetime, according to breastcancer.org. 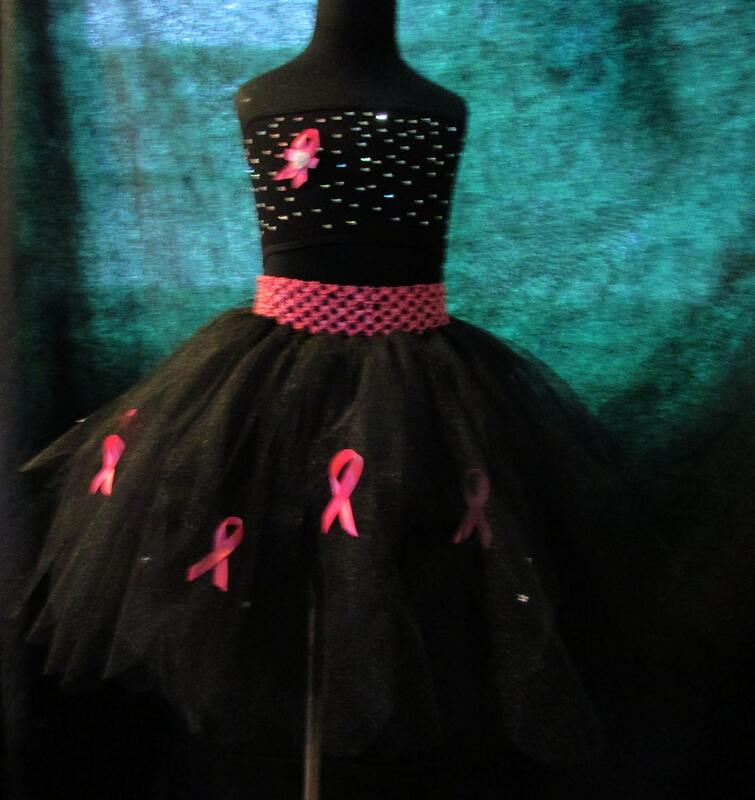 We are using these tutu creations to show support for continued awareness. Don't be intimidated by the sizes in inches, there are so many discrepancies out there with numbered sizes that we would rather you measure yourself or an article of clothing to get the best fit possible. If you have any questions feel free to message us. **Please use our sizing guide below when choosing the size you require**. 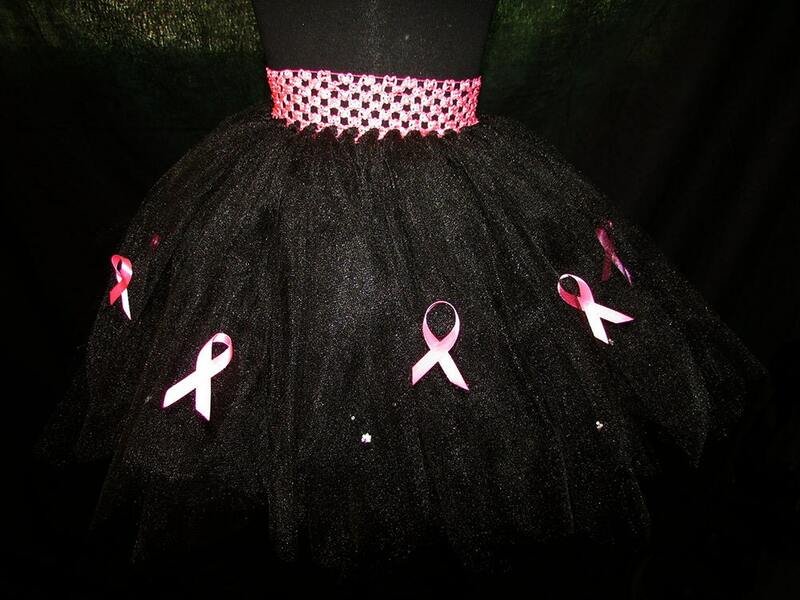 Specifics: Black premium tulle cut in the petal style (at the bottom) with three layers minimum and pink satin “awareness” ribbons create this tutu.